Optimizer and jockey Joel Rosario will break from post position #1 in the Man O’ War Stakes on Saturday July 13, 2013 at Belmont Park. The Man O’ War Stakes takes place Saturday July 13, 2013 at beautiful Belmont Park in Elmont, New York. The $600,000 1 3/8 mile inner turf race will host eight horses three-years of age and up. It seems the Man O’ War Stakes is a rematch for three of the contenders including Optimizer, Twilight Eclipse, and Finnegans Wake, who all competed in the 2013 Manhattan Stakes. 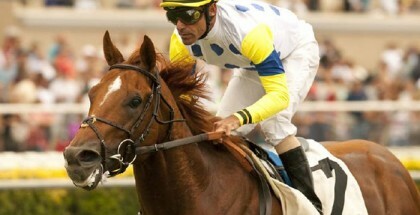 Optimizer, with 2/1 odds, will break from post position #1 with Joel Rosario in the 2013 Man O’ War Stakes. Optimizer finished second behind Point of Entry in the 2013 Manhattan Stakes on Belmont Stakes day. Finnegans Wake and Twilight Eclipse also ran the 2013 Manhattan Stakes with Optimizer finishing 4th and 5th. Jose Lezcano and the always fan-favorite Point of Entry won the 2012 Man O’ War Stakes. Point of Entry, who is trained by Shug McGaughey, is currently resting due to an injury and was not entered in the 2013 Man O’ War. Fortunately, Shug will send in Point of Entry’s stablemate Boisterous. 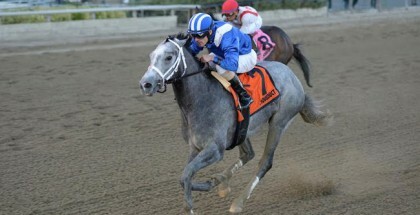 Boisterous crossed the finish line first with John Velazquez in the Monmouth Stakes on June 9th. The Phipps Stable owned Boisterous is the expert favorite for Saturday. Critics claim the six-year-old has positively matured over the last year making him a strong contender in the 2013 Man O’ War Stakes. My picks for the 2013 Man O’ War stakes include Boisterous, with 9/5 odds, and Finnegans Wake, with 10/1 odds. 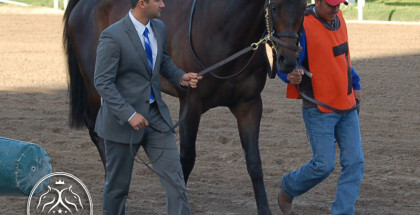 Boisterous just looks strong to me and appears to be ready to win a grade 1 race. 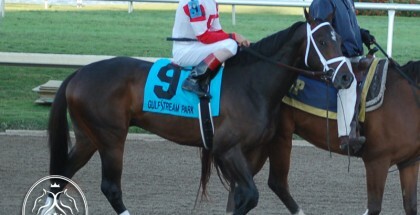 Finnegans Wake is my pick simply because I like his name and I’m a fan of trainer Dale Romans. The Man O’ War Stakes is the 9th race of the day at Belmont Park with a 5:17 PM EDT post time. Lady and The Track would like to wish all of the contenders in the 2013 Man O’ War Stakes the best of luck. Good Luck! Safe Run! Place a Bet online. It’s safe & easy!